~ The Frugal D.I.Y. 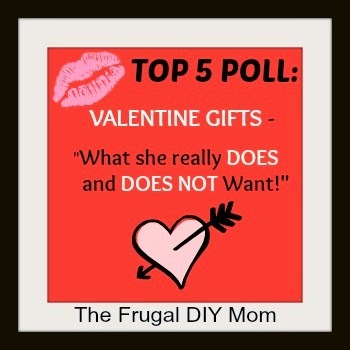 Mom ~: Top 5 Poll: What Women Do & Don't Want for Valentine's Day! "What do I get her for Valentine's Day?" The pressure is on to make her eyes light up, make her heart skip a beat and to have her know for sure how much they really care. So, flowers and candy should do that, right? WRONG!!! The results are in! We polled our readers and our friends to see what women REALLY want for Valentine's Day! AND...what they DON'T want! 5. Stuffed Animals - YIKES! This should almost be #1 in my book! What the heck is she going to do with a stuffed animal? Have you seen the teddy bear on Amazon that is $169.99, regularly $379.99? Yeah, it is as big as a full-grown woman. It kills me that men get swindled like that! If you live together, think, "where is that gonna go after tonight?" Do you really want it staring at you in the bedroom? Eeew. Not even remotely a good idea! 4. Jewelry - The last thing my jewelry box needs is another necklace that I won't wear! However, Kmart, Zales and stores like the Bon-Ton will tell you otherwise. And OK, I really get that guys could put a lot of thought into it, especially if she is a huge fan of jewelry. But, how many times does he nail her taste? Hmm. I vote zippo along with the women we polled. I love jewelry but have a very specific taste. Leave the jewelry for the proposal or anniversary if you must buy some! 3. Gifts for the home - OK, do we really need to go here? It kills me how many women said they have received a gift to clean or cook with for Valentine's Day? That is just wrong and she will chop your arm off. Enough said. 2. Flowers - There was a slight, and I mean slight disagreement about flowers. A random few said that flowers would be nice because they have never gotten them before. The rest of you felt like he may as well just throw the cash in the trash! One woman suggested a plant, which is OK, but I think we need to be a little more creative on the day we show that special someone just how much we love and appreciate them. Suggestion: Save 1-800-FLOWERS for a random day for no reason...it will mean WAY more to her than today! 1. CANDY!!! - Surprised? Not much! Yes, women love chocolate. But handing her a big box of "Man, I'm gonna feel guilty after I eat these!" will probably not be the best idea. And it is by FAR overdone. There is really NO thought to candy. I love chocolate so much that I eat it every other day through the year. I get heavier just LOOKING at a box of it! TOP 5 - What she REALLY wants! DID YOU KNOW??? The Frugal DIY Mom is also a travel agent specializing in Surprise Vacations and Blind Booking! Visit her website to plan your Valentine's Day surprise getaway today! 3. Dinner - So, we know that there is usually a dinner involved when it comes to Valentine's Day. But, how awesome would it be if the man came home from work early to make dinner for his girl? According to our poll, it would be AMAZING! Our readers suggested that they wouldn't even care if it was boxed macaroni and cheese with hot dogs - as long as the man was thoughtful and tried his best. And, an even better "plus" would be if he did the dishes, too! Take a peek at my easy recipes! 2. A Hand Written Card/Note/Poem - I LOOOOOVVVEEE this! We had MANY women request something handmade or hand-written from their man. Women understand that men generally have a more difficult time verbalizing their feelings than women. But on Valentine's Day, women WANT DESPERATELY to hear that they are loved and appreciated for all that they do. Maybe they have never heard their man say it before? Maybe they are greatly appreciated but have never felt it? Now is a great time for a guy to pull out all of the stops and write down a few lines about their love for that special woman! He will NOT regret doing so, I promise! So, that's it! Do you agree or disagree with our poll? Please comment below and be a part of the discussion! Don't forget to share this with the man you know that may be able to use these suggestions! 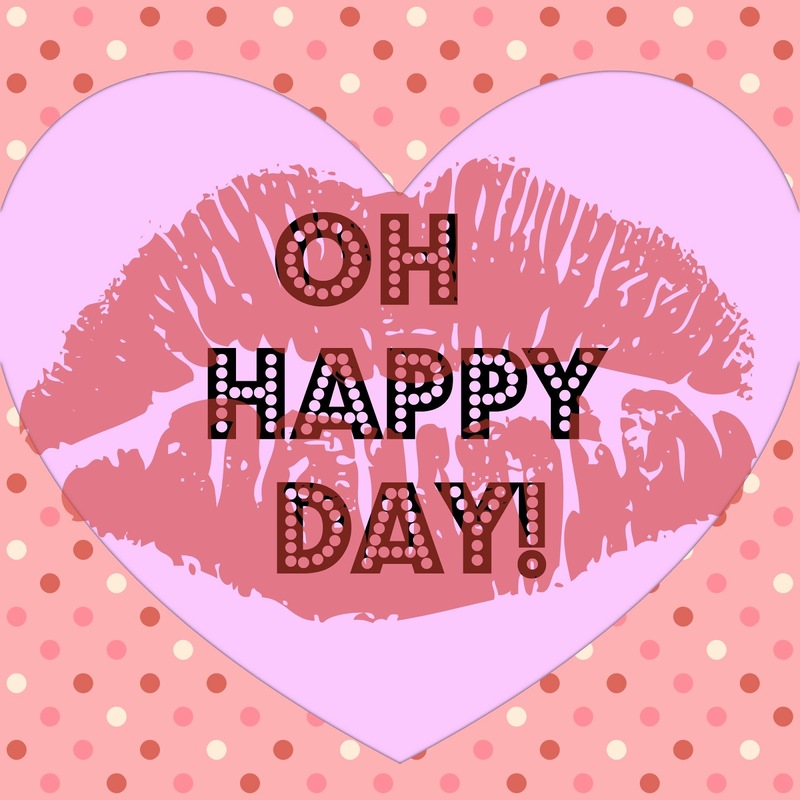 AND, remember to have a great Valentine's Day! And don't forget to have The Frugal DIY Mom help you plan your romantic getaway today! Glad you like it! I am going to post a pic on my DIY FB page that will make you laugh!!! Check it out! You did a great job on this poll, you ever so clever woman :-) I'm going to bookmark your site and check in from time to time for sure! !